Replacement: COM-10169. We've replaced these with SparkFun branded cards. This page is for reference only. Description: This is a basic RFID tag used for presence sensing, etc. Works in the 125kHz RF range. These tags come with a unique 32-bit ID and are not re-programmable. 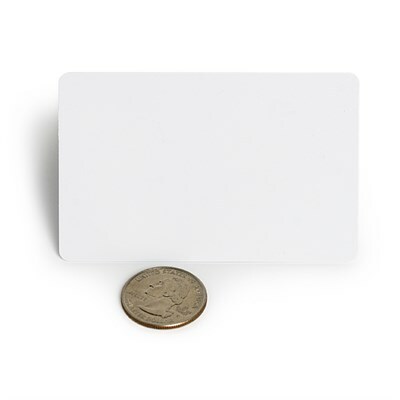 Card is blank, smooth, and mildly flexible.